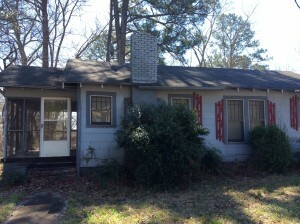 We buy houses for CASH in Birmingham, Alabama whether they need a lot of repairs or not. We truly do not care whether a house has significant damage or just needs some cosmetic updating. The level of repairs a house needs is not of consequence to us as we have seen it all in our two decades of buying houses. Foundation problems, leaking roofs, pest infestations, vandalized houses, broken windows, cracks in walls, stained carpet and pet damaged flooring, pet odors, rotted cabinets, falling in ceilings, electric, plumbing or mechanical problems, peeling paint, rotted wood, none of this stuff that makes a house a “piece of junk” house is a problem. We will buy anything! We pay cash so that we can buy houses that others simply cannot because most lenders will not lend on a house that needs serious repairs. More and more conventional buyers have problems with being able to get insurance coverage for these kinds of properties, especially if they will be vacant for any length of time. Eliminate the uncertainty of whether or not that buyer will actually be able to get a loan to purchase your house. Allow us to make you a cash offer and know that it will get closed on time and without hassle. We will buy your unwanted house. We also want to buy pretty houses. If your house does not really need any repairs, we are still interested in buying it. We have bought many houses in the past and were able to offer the seller a fair amount. Many sellers are surprised to hear that we buy pretty houses. We actually somewhat prefer these because they do not require so much effort on our parts to get them ready for investments purposes. Even if your house isn’t necessarily in major disrepair, give us a call so that he can schedule an appointment to see the house and make you a cash offer. Whether you consider your house to be falling apart or pretty, we are interested in buying it. Sell fast, for cash.